Vivid is probably the best way to describe this watercolor painting by Barb Stubbs. Tulips in their many forms; from the tightly folded petals of a new bloom to the fully opened flower that calls to natures propagators to come and drink its nectar. 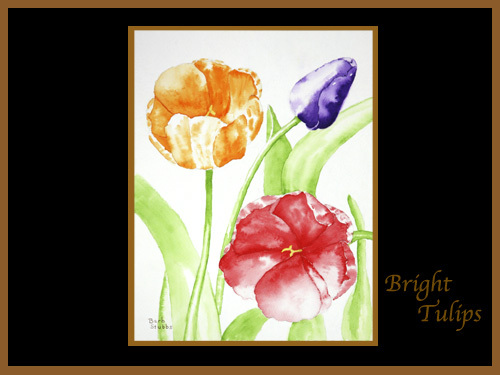 The rich purple, red, and orange colors of these tulips will lift your countenance whenever you gaze upon this fine art print.